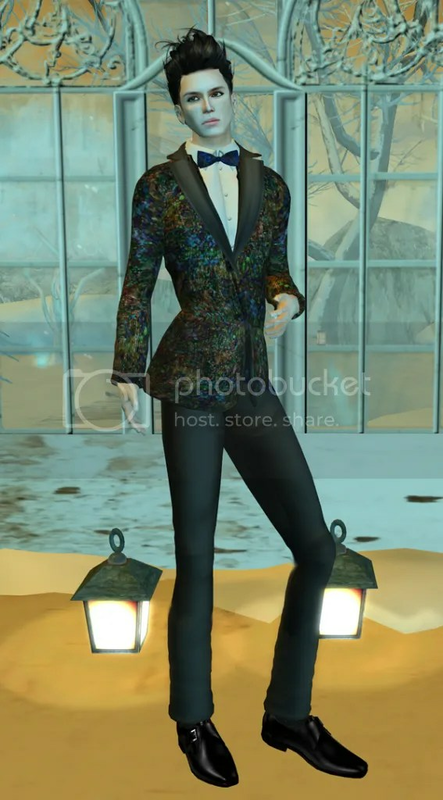 Levana is a new tuxedo from Shiki Designs, from a new collection that is a collaboration between Shinichi Mathy, Shiki’s designer, with Vinn Wong,a RL artist and personal friend of Shinichi’s in RL. The artistry really shows on these textures, like a canvas splashed with brilliant reds, blues, greens and other colours, these vibrant tuxes also have a sparkling effect to the textures so it’s very glamorous and most spiffy. 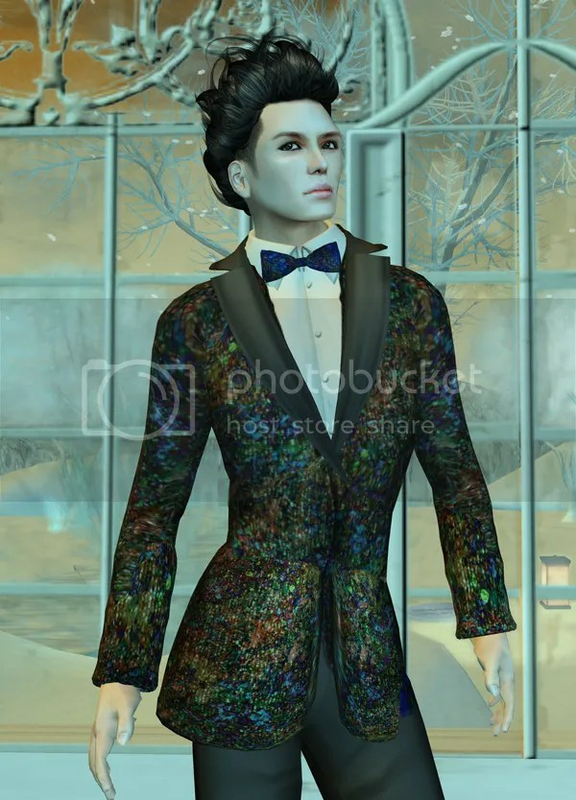 When RL art and SL fashion merge it is truly meant to be. This is just the Envy (green) colour of the tux, the others are blue and red.